It's hardly necessary to state how elaborate a wedding is. Every piece of decor, every accessory and just about every tool is carefully planned to be of an aesthetic match with the rest of the ceremony. 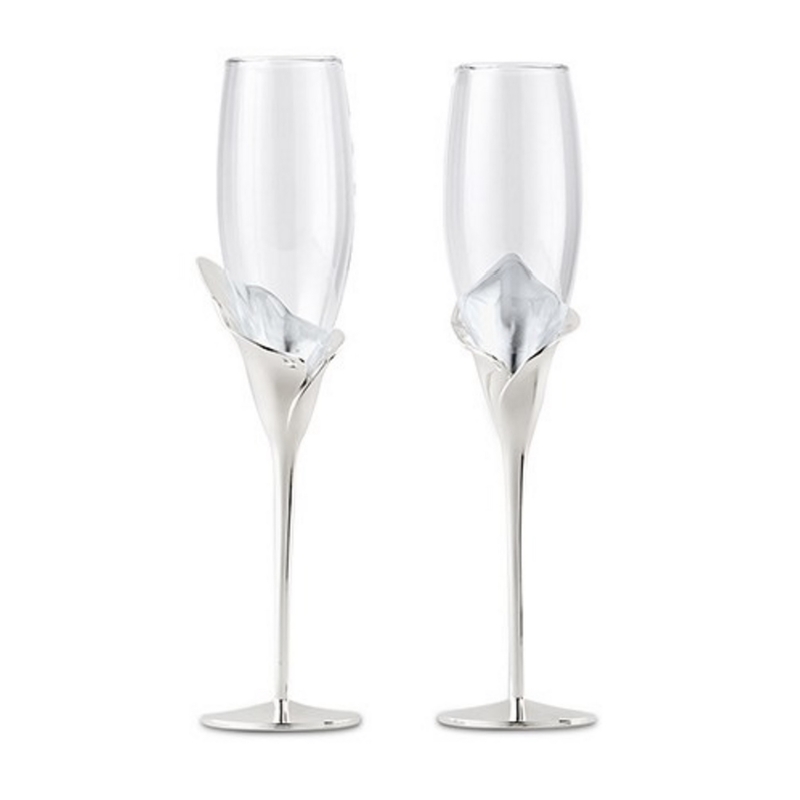 The Calla Lily Champagne Glasses are a prime example of the amount of detail that is carefully planned out. With a calla lilly shaped stem merging into a traditional glass bowl, for it provides a truly wonderful design that perfectly complements the wedding theme.